After moving to Korea my running habit has mostly gone on hold. Before business school I had become quite competitive in races ranging from 5km to marathon, and during business school also I would run frequently as a way to overcome the stresses of schoolwork and job searching. But my first run in Seoul was not pleasant – under an overhead highway along the Han River at night. There is really nowhere else nearby to run in this crowded city, and after coming home that evening I felt sick. The regular smog in this city is a regular reminder of the perils of consistent aerobic activity outdoors – the air is not "China-bad" but it is still not good. Before moving here I was told that "Koreans don't really go jogging" and have seen that bicycling and walking are far more popular instead. After a winter of getting fat and lazy I finally joined a good gym near my house in April 2013 ... first time in my life that I ever signed up for a gym membership ... and I haven't looked back. That said, my foreign colleagues at Samsung were a little more eager for running last year. We started with the Color Me Rad 5K in July, which really was more of a walk. In fact, I would estimate that about 90% of people walked the course. I have never seen so many people walking on a "race course". There were no time chips and the event was meant to be a good time, but I still was surprised that other people weren't jogging this thing. My foreign colleagues ran at a warmup pace and still easily passed hundreds of people. There was a ton of dry paint thrown at us and a great DJ blasting dance music at the finish line. It was fun. 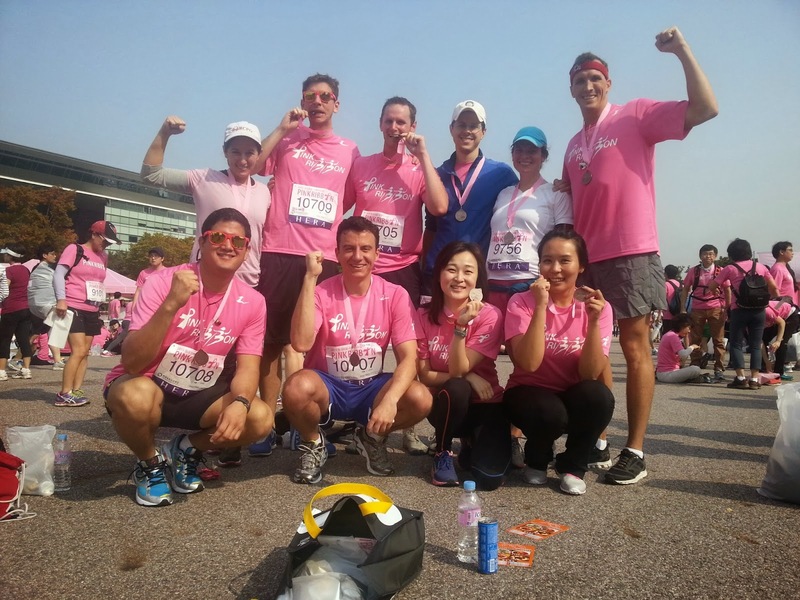 In the fall we became more ambitious and signed up for the Pink Ribbon 10K in October 2013. Thankfully our fabulous Korean friend Hyewon signed us up on the Korean website, and we had a beautiful mid-autumn day to run on Yeouido Island. The event was designed to raise breast cancer awareness and I have never seen so much bright pink in one place! Despite absolutely no outdoor jogging I managed to run pretty decently -- nowhere near my peak but still was top finisher in my group. And given that there were maybe only 50 foreigners which I saw in the whole race, I could easily have been the top foreign finisher! 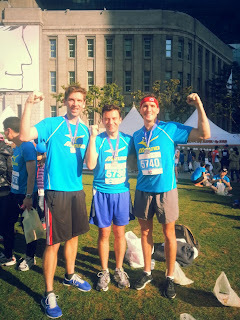 The next week a few of us double-dipped and ran the Seoul Race 10K along the Cheonggyecheon Stream. Was a bit chillier and a more serious event. 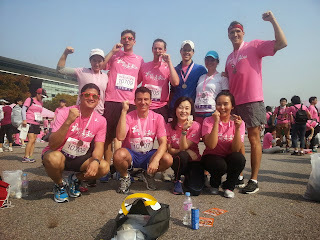 This was the first race where the real Korean runners came out ... the ones who crank out 6-minute miles in their sleep. I might have been at that level long ago but not now -- nonetheless, I still managed to turn in a decent performance. The highlights for Seoul Race were certainly off the course though. Before the race as we gathered in City Hall Plaza, a TV camera crew walked up to my group of foreigners for an interview! I will never know who got to watch my tape of me talking about life in Korea, but it was certainly an experience which I wouldn't have back home. Then after the race was a concert and my friend Whit got selected to dance with the band. Oh expat life! Strange foreign dude dancing at the end of a race course... ALERT!! 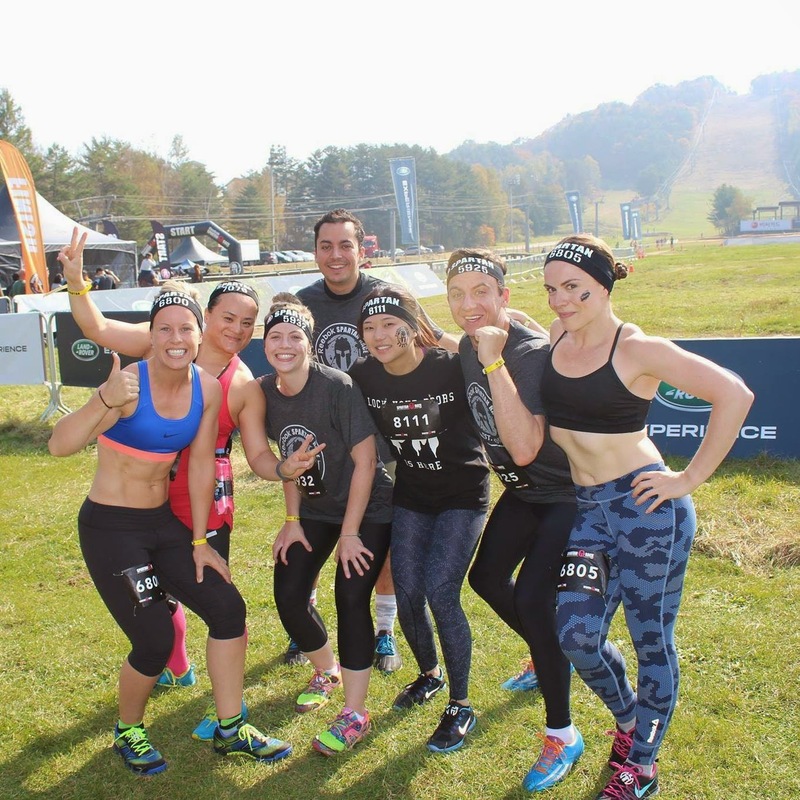 This year, some of my racing friends moved out of Korea and there were no races until I joined some of my gym colleagues at Spartan Race Korea. The race was in hilly, scenic Pyeongchang – home of the 2018 Winter Olympics. But given the amount of traffic we endured to get there from Seoul on a Saturday morning, I think I will avoid the games in 4 years time. The race was sponsored by Reebok and I think the U.S. Army shipped an entire brigade to the race course, so I didn't feel so out of place as a foreigner here. As the 7km course essentially went up a ski mountain, and given the substantial obstacles one had to clear to get to the finish line, this was not going to be a fun run. 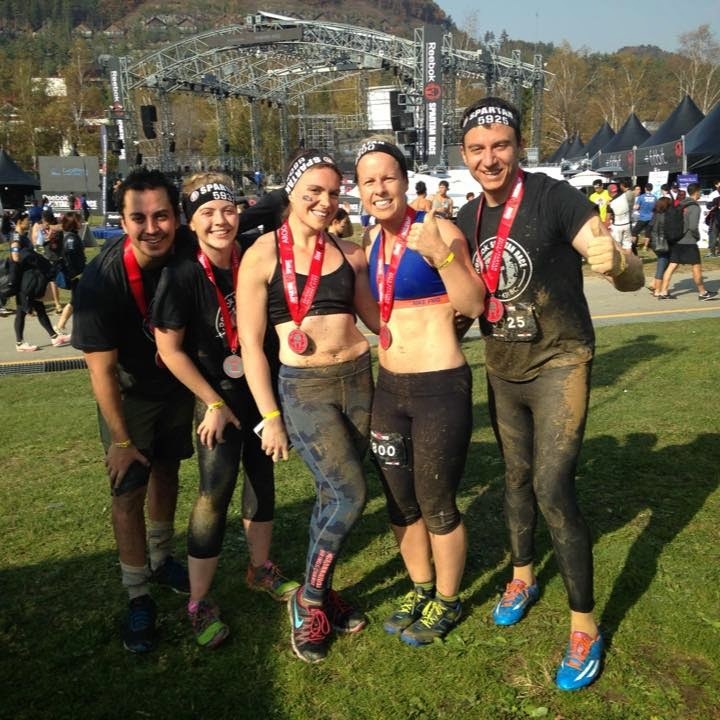 We jumped into mud pits, we ran on rocky mountain trails through the forest, we jumped walls, ducked under barbed wire, climbed ropes ...well, I wasn't able to do all of it, and given my uncertainty about the obstacles I didn't run quite my fastest, but this was fun and I was glad to have endured this. Still managed to finish in the top 10% overall, so I may need to do more obstacle racing in the future! ...just a tad muddier and more exhausted at the end. 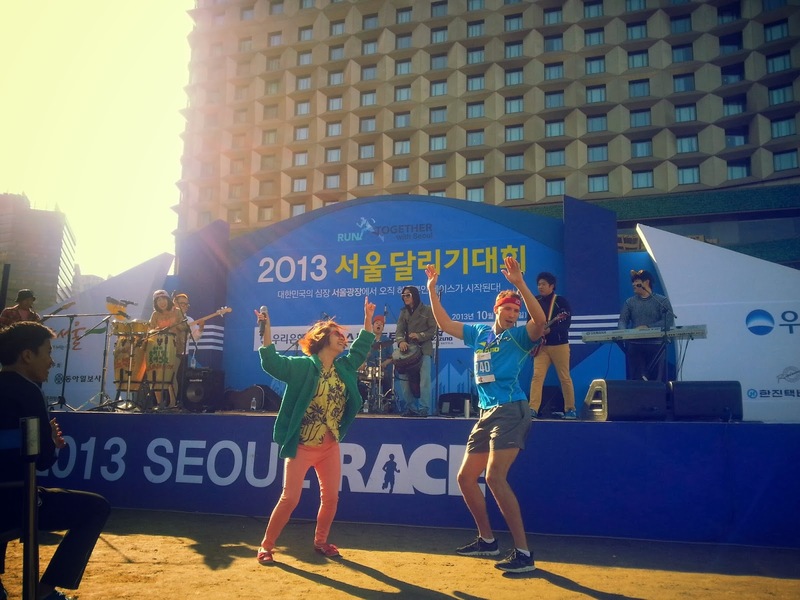 In short, running exists in Korea, though not nearly as popular as back home in the USA. 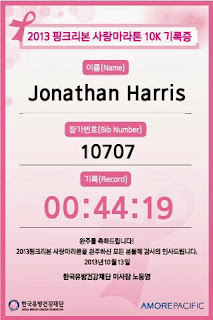 Running races as a foreigner is not difficult ... though it helps to have a Korean who can navigate the language and payment barriers on some of these websites. 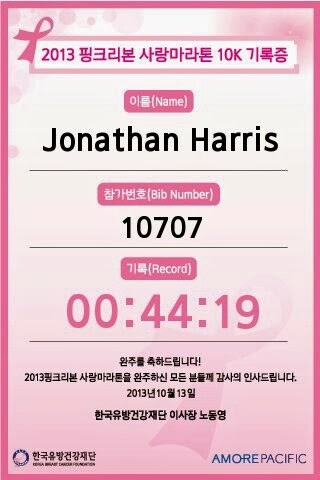 And, as with many things in culturally homogenous South Korea, you're a bit of a novelty racing as a foreigner, obstacle races excepted. The days are starting to turn chilly in Seoul now but I hope to be back for more races in 2015!